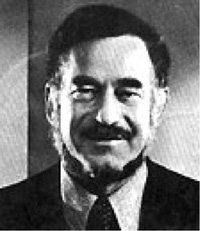 Does anyone remember Dr. Haim Ginott? I want to continue the discussion of bullying (begun in the last post) with a personal story. But first: Who remembers Dr. Haim Ginott? Best of all, he suggested parents should make such situations into opportunities to teach vocabulary. Don’t just say you’re angry; say, “I’m perturbed! I’m distressed! I’m chagrinned!” We thought this was hilarious, and my brother and I would sometimes mimic Dr. Ginott and his accent: “I am AAAANgrry! I am perrrTERRRRbed! I am chagrrrEEENED!” Making fun—but then, it’s the fun that made the lesson stick. As I remember it, Dr. Ginott also recommended against commanding a misbehaving child with orders like “Stop! No! Cut it out right now!” Instead, one should make non-emotional statements about situations or objects: “Jimmy, sofas are not for jumping; the sofa is for sitting! Trampolines are for jumping!” (One could add, I suppose, “I feel chagrinned when the sofa is treated like a trampoline!”) Delivered in a sing-song tone, it sounded stilted and made us all laugh. Fast-forward to eighth grade, when an aggressive ninth-grader cornered me at my locker, grabbed me by the hair and began threatening me. The hair-pull hurt a lot. Rage welled up inside me and I naturally wanted to shout and curse, call her names in return, and quite frankly, punch her lights out. Having an older brother, I was no stranger to fist-fights. But I was also not a fool. Her friends were nearby, and I knew the routine: One girl would target someone, provoke an incident, and if the target reacted with insults or fists, the whole group would be on her in seconds. There would be black eyes, bruised ribs, and suspensions. Her friends were getting bored. They decided to let me go for the time being. This wasn’t quite the end of it; I got a second dose the next day. “You’re pulling my hair again, aren’t you!” I declared fake-cheerfully. “Gee, that hurts! I really hate it when that happens!” But clearly, she was looking for some sort of provocation to escalate to a fist-fight, and I wasn’t providing it. “I wonder if you’re going to let go soon!” She let go in disgust — or disappointment — or boredom. The final incident occurred at the end of the next school day, and I think she was just showing my weirdness off to one of her friends. “There she is!” I heard as I started down the crowded stairs after the last bell. She dashed through the crowd and managed to grab my hair from above. “Jeez that hurts! I really wish you weren’t doing that!” She was smiling, looking at me and then at her friend, who looked amused. She let go, and never bothered me again. Thank you, Dr. Haim Ginott! You saved my eighth-grade a–. He is also credited as an inspiration by the authors of the more recent books, Raising An Emotionally Intelligent Child , by John Gottman; and How to Talk So Kids Will Listen & Listen So Kids Will Talk , by Adele Faber and Elaine Mazlish. As for bullying — our original topic — consider that many bullies are angry children who are trying, in a way, to communicate. Not all incidents are the same, and not all can be defused the way I managed to defuse mine so many years ago, but it’s something worth thinking about.